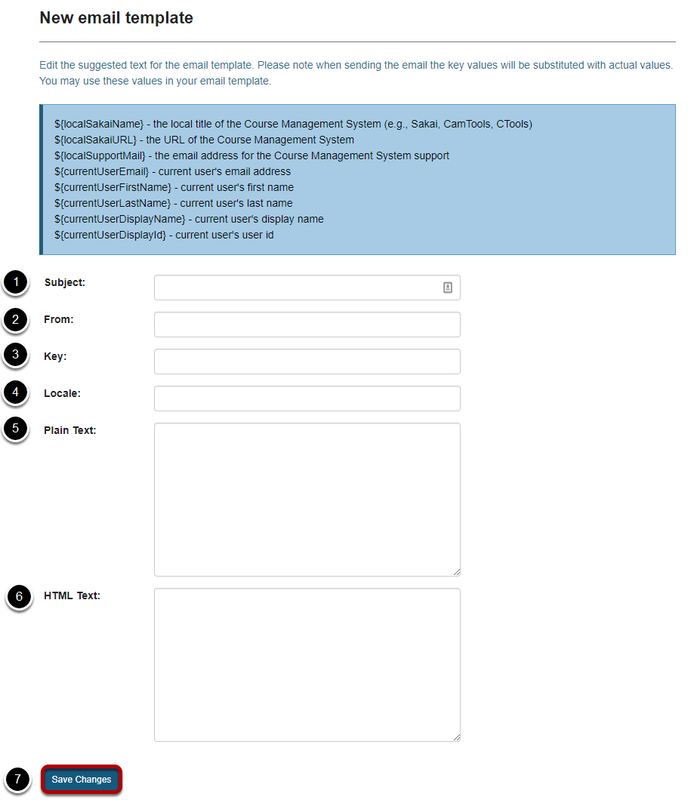 Sakai Community DocumentationSakai 12 Administrator Guide (English) Email TemplatesHow do I add a new email template? Zoom: Enter template information into the fields provided and Save. The Plain Text field is where you enter the text of your message. You may also provide an HTML Text version of the message if desired. This allows you to include additional formatting for the body of the message. Prev: How do I edit an email template? Next: What are External Tools?